We’re calling on you to reject this merger. Protect affordability and access by promoting healthy competition between mobile providers. Our futures depend on it. 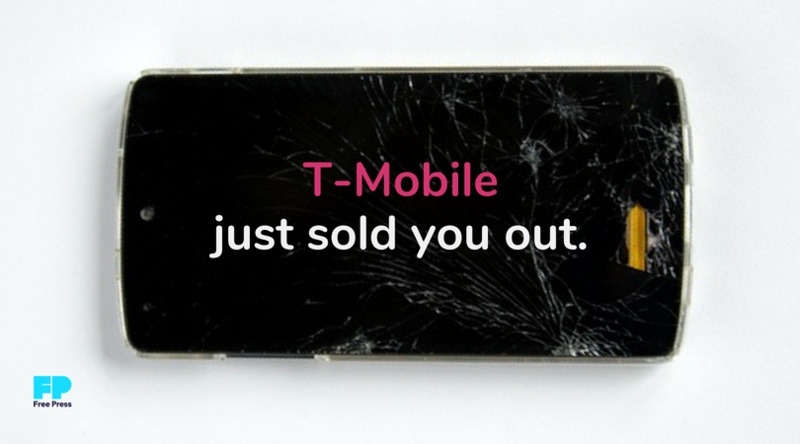 It’s official: T-Mobile is selling out, and the days of the “Un-carrier" are dead. Back in 2012, we were all amazed when T-Mobile’s brash CEO, John Legere, stormed into the market with a hot-pink focus on customers. Faster upgrades brought the newest smartphones into low-income households. “No-Credit Check” plans meant that the racist credit-rating system could no longer serve as a barrier to entry for people of color. But now T-Mobile has decided to put profits over people and take away the one thing that helps protect all consumers: competition. Every time T-Mobile cuts its prices, Sprint and other companies create new deals in response. If this merger is approved, the loss of two competitors will mean higher prices for all of us — and that will disproportionately harm people of color, low-income communities, and residents of rural and outlying areas who have few options to connect. This industry is far from where it needs to be, and its entire structure and landscape is changing ... we will continue to drag the duopoly (yep, kicking and screaming) into treating their customers better and delivering more value! Let’s call B.S. on John Legere, the FCC and everyone else whose actions don’t match their claims that they care about people’s right to connect. Tell the FCC to stop the T-Mobile/Sprint merger and protect the public from greedy corporations.